CyberYozh security group. Privacy and anonymity online. I am anonymous online when I use a VPN, Tor or a web proxy server. There are more than 10 ways of finding out your IP address over a VPN, Tor or a proxy server. All of them are consistently used by law enforcement agencies, special agencies and hackers. My cell phone can be tracked, tapped or monitored only by the law enforcement or special agencies of my country. A skilled cybercriminal can spy on any cell phone anywhere, hijack SMS and track your movement. I am safe if I visit a website without downloading or pressing on anything. Hackers are taken down by code errors or using state-of-the-art technologies against them. The majority of caught hackers were taken down by sloppy mistakes made out of sheer laziness, poor judgement and blunted concentration. 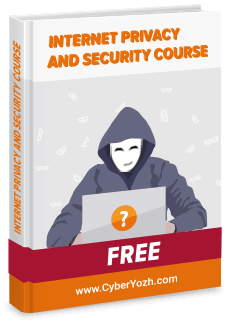 Our Internet privacy and security course will take you through the reasons that led to the arrests of known hackers. You don’t believe hackers could take an interest in you? You are sure you know how to best protect yourself from cyber attacks? In this video we are debunking the most popular myths. A presentation video of Panic Button, the emergency data erasure system developed by CyberYozh security group. How safe and anonymous are you online? Panic Button will help you wipe sensitive data with just one click of the mouse, alert your partners and turn off a device. Panic Button can urgently wipe RAM, delete any files, browser history, user activity history and saved passwords. It triggers automatically if a perpetrator gets access to your device. 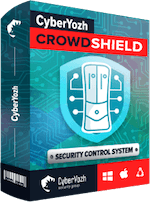 CrowdShield will help you set up a personal VPN or proxy server with the required parameters fast and easily. This project is nearly at its completion stage and will be launching soon. The service is currently unavailable in your region. CyberYozh security group is a project set up by WebGears Services Limited, an international company that offers internet security services. WebGears Services Limited is driven by the development of IT security software and awareness and training for users. 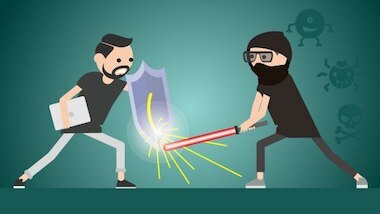 We offer unique IT security solutions that others in our industry just can’t. In addition to unique solutions, we offer effective information products while keeping in mind that the ultimate anonymity and online security require a combination of measures. customized solutions – personal VPNs and proxy servers required for comprehensive and robust data protection. Contact us and we’ll get back to you shortly!